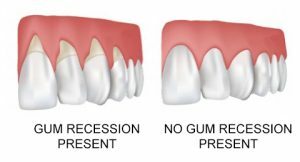 A common cause for sensitive teeth is recession – meaning that the gum tissue has receded (moved away) from the tooth, exposing the root surface which does not have the enamel to cover it. This can occur by brushing too aggressively or by using a medium or hard bristled toothbrush. Sometimes, brushing too aggressively can start to wear into the tooth. In cases like that, we recommend filling the area to help protect the soft layer of the tooth's root. Aging, is another cause of gum recession. As we age, our bone density lowers, causing the bone in the jaw to decrease and, with that, the gum tissue follows. At Alexandria Smiles, we highly recommend using a soft bristle toothbrush or an electric toothbrush. Many electric toothbrushes have a sensor in them that prevents you from brushing too hard. While we do not recommend a specific brand, the majority of our staff uses either an Oral B or a Sonicare toothbrush. Both of these have pressure sensors in them. Teeth whitening is another common reason for tooth sensitivity. 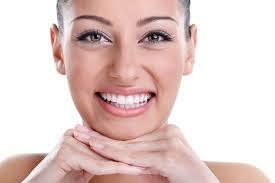 While we all desire a sparkling white smile, whitening is not for everyone. If extreme sensitivity occurs, stop whitening immediately and begin using a toothpaste specially made for sensitive teeth. Your Alexandria Smiles hygienist can teach you the best way to use it. One more reason for tooth sensitivity could be either a crack or an abscess. Both of these would come with other symptoms as well. If the tooth is cracked, you would have sensitivity when chewing and if there is an abscess, you would notice drainage, a bad taste in our mouth and/or sensitivity to both hot and cold. In these cases, you should see your professional at Alexandria Smiles right away. While tooth sensitivity may be unavoidable at some point, there are ways to lessen or eliminate it. Always use a soft bristled toothbrush or electric toothbrush with a sensor. Do not brush too hard. Use a toothpaste specifically designed for sensitive teeth. In extreme cases, you may need to get a filling done to protect the tooth.